I love the guys at Big Rock Oyster Company. Thanks for the invitation to visit the farm again this Spring to see your updates! 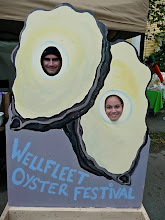 Here is an older post about Big Rock Oyster Company.